Every store owner knows, you will always have some leftover stock no matter how well you try to predict what you will sell each season. Thoroughly cleaning out your store means that you need to clear out old stock. You want your shelves to appear as new and updated as possible, with space saved for the new garments and decorations that catch the eye. The fact is, if you continue to let the old merchandise take up your shelf space, you will not have the space for the new product. This approach will cause your store to look old and outdated. Potential customers will be dissuaded by the amount of out-of-season merchandise available, and you will lose their business. You may not ever be able to sell the garments if you hold on to them instead of selling them at a lower price. Additionally, you will eventually run out of backroom storage space. Clearance is the best way to clean out your store and be prepared for a new season. Start by marking down your merchandise to 30-40% off the original prices. Next, alert your customers (perhaps through a service which they’ve signed up for, like email or even text alerts) about anything happening in the store. With the alert, mention that supplies are limited, and run the sale for one to two weeks. Then, whatever you have left, mark it down to 60% off and send another alert or run an ad on social media, such as Twitter or Facebook. When considering your in-store set-up, put a rack of clearance near the front of your store to draw the customer in, then place the rest of your clearance merchandise on a rack farther into the store. The customer will feel inclined, once having gone through one rack, to look at the others as well. 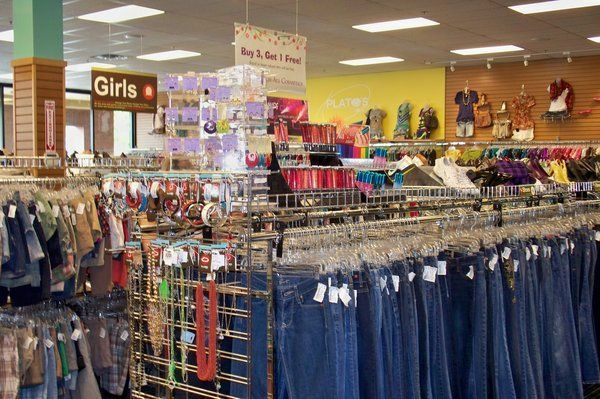 Conveniently, they will have the opportunity to see all your new merchandise as they head through the store toward the secondary racks of clearance items. Once you have done this, if you still have a bit of merchandise left on your shelves, it’s time to make a decision between donating the leftover clothes to a charity or throwing them away. Your most important mission is to clear up that shelf space for your new product. You want your floors to look thoroughly cleaned. Customers do not like avoiding stains or gum spots on the floor. You can opt to have a professional cleaner do your retail store cleaning, then have someone polish the floors on top of that deep cleaning to give your floors a fresh, new look to go with your fresh, new stock. Clean off your light bulbs and replace any old, dim bulbs so that your customer will be able to see well. Any spider webs or dust that is covering the light bulbs will inhibit customer viewing. With these measures, you can help your store get cleaned up and be ready for when that new stock comes in.